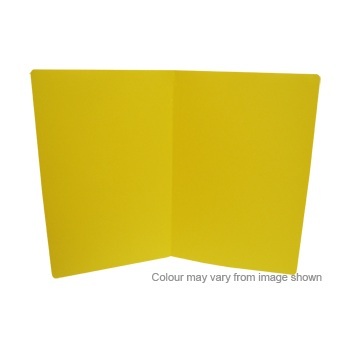 Durable, tear resistant plastic manilla folders... no more dog ears! 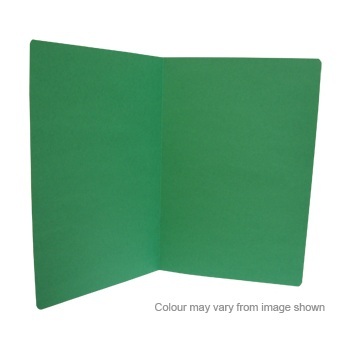 Environmentally friendly, being made from a recyclable material that is re-usable hundreds of times. 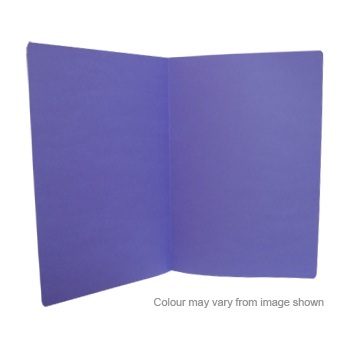 Resists moisture ideal for storage. Easy to clean and re-label. Copy safe and file fastener ready. 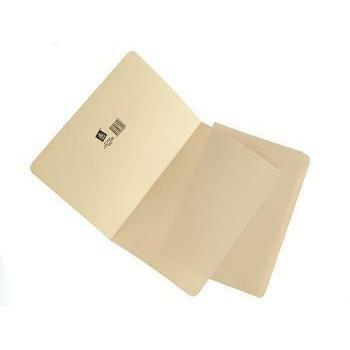 Pack of 10 x Buff Foolscap size folders. Standard weight - 163gm. Buff Colour. 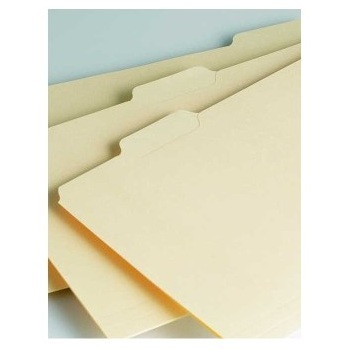 Extra Strong and durable premium quality manilla folders. Recommended for document storage. Extra Heavyweight - 300-325gm. Buff Colour. 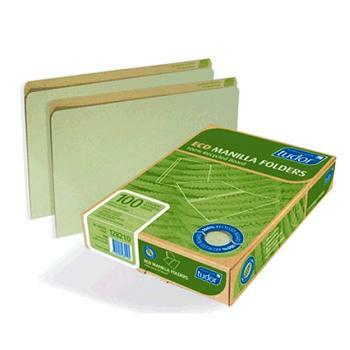 Box of 100 foolscap size manilla folders. 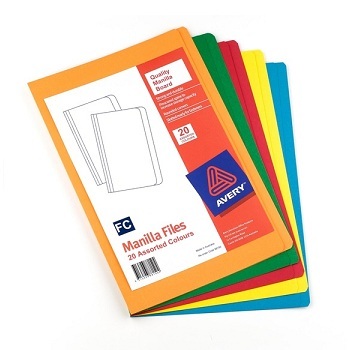 Economical packs of FC manilla folders in assorted bright colours. Colour code your document storage... 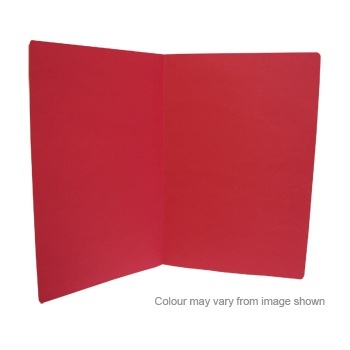 Premium quality FC manilla folders in vibrant colours. 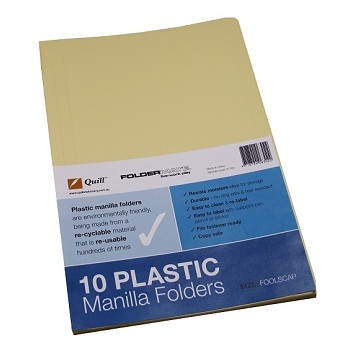 Box of 100 manilla folders available in 10 Colours. 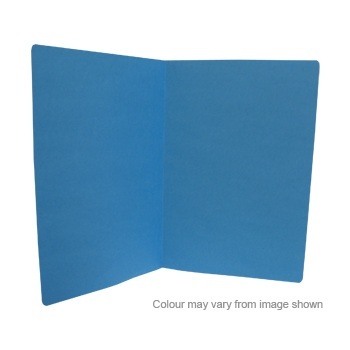 Premium quality FC manilla folders in vibrant Optix colours. 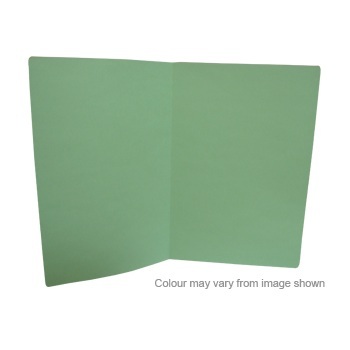 Foolscap size durable board manilla folders. 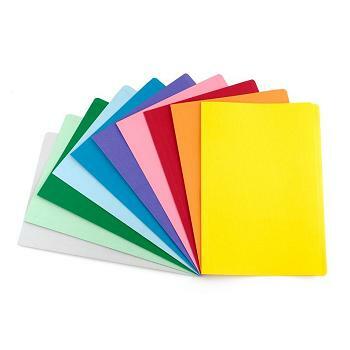 Pack of 10 manilla folders (2 each Juni Purple, Reva Green, Tera Yellow, Zuli Blue & Raza Red). 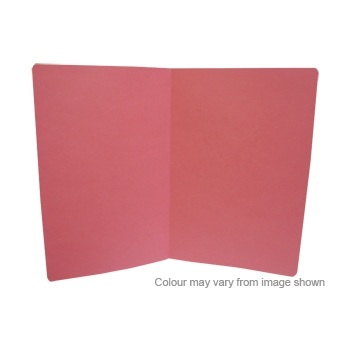 Australian made 100% post-consumer recycled ECO manilla folders. 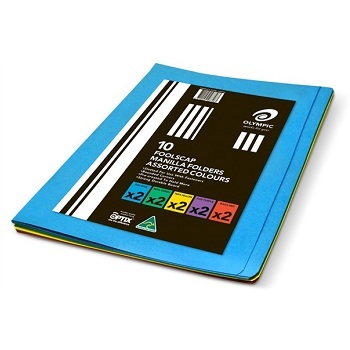 Box of 100 foolscap enviro folders. 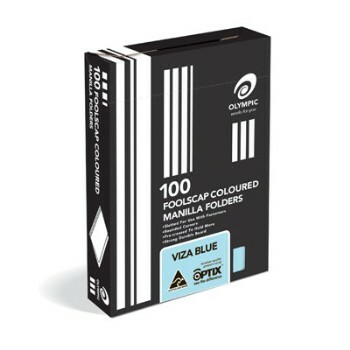 Brighten up your document filing with vibrant Optix coloured manilla folders. 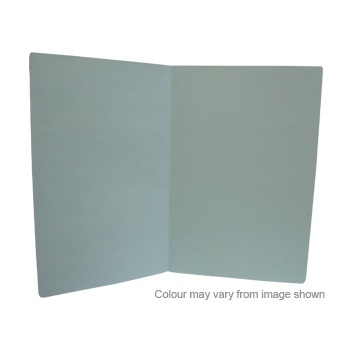 All folders are double creased for extra capacity and pre-slotted for File Fasteners. 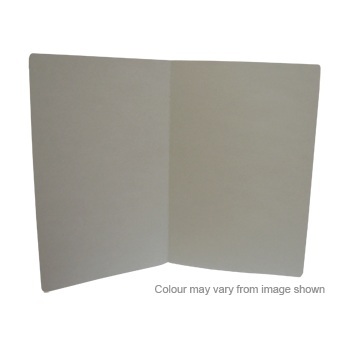 Produced from pre-tinted, fade-resistant board. 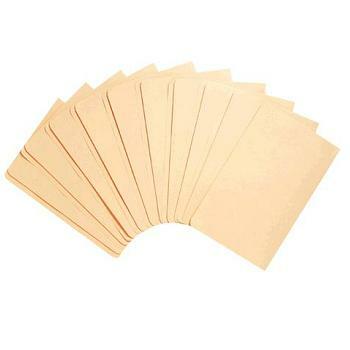 Box of 100 foolscap standard cut manilla folders. 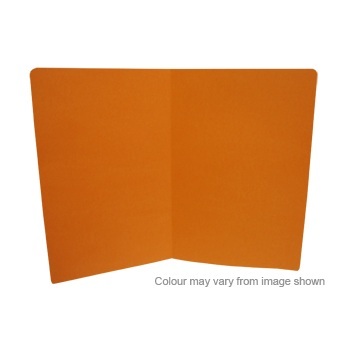 All the benefits of a straight cut folder, plus the ability to subdivide topics within one suspension file. Stepped 5th cut tabbing allows you to easily identify the contents of the file. Standard weight - 163gsm. Buff Colour. 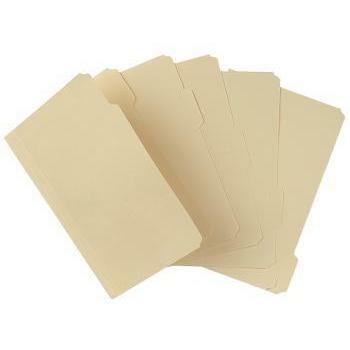 Pack of 50 foolscap tabbed manilla folders (10 sets of 5 tabbed folders).